Serge Valentin described it as "masterfully composed" and the judges at the World Whisky Awards concur. 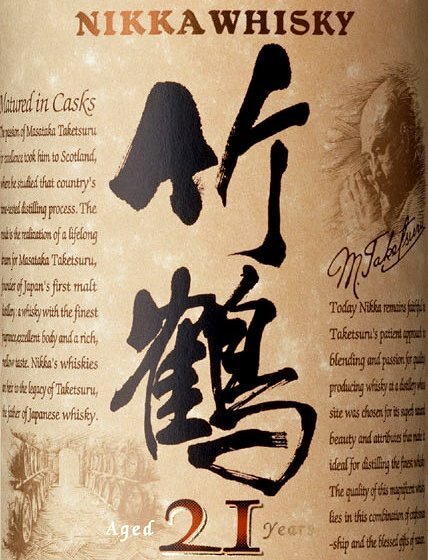 Nikka whisky`s Taketsuru 21 Pure Malt won the World`s Best Blended Malt Whisky at the World Whisky Awards on April 20-21. For a full list of the winners go to the Whisky Magazine site. The great thing about this whisky is, though it costs a fair whack at about 10,000 yen for a standard bottle, you can also buy it in 180ml miniatures. I am off out to hunt one of those down before they all disappear. Japanese whisky is indeed taking over the world and rightly so. Superb whisky every time. Well-crafted, well-packaged and just delicious.